Tom Lamprecht has broad experience in mergers, acquisitions and other corporate transactions in a variety of industries. He has represented private equity firms and public companies in public and private mergers, acquisitions and divestitures, joint ventures and minority investments. 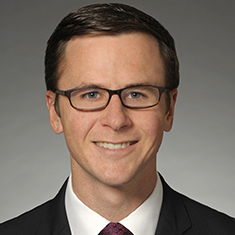 Prior to joining the firm, Tom was an associate in the New York office of Simpson Thacher & Bartlett LLP. During law school, Tom was the editor in chief of the Villanova Law Review. He is an inactive certified public accountant (CPA) in New York. Shown below is a selection of Thomas’s engagements. Representation of a leading national provider of litigation support services, and its members, in connection with its sale to affiliates of a Los Angeles-based investment firm focused on private equity and special situation transactions. Katten also represented the client's management team in connection with their rollover investment in the acquiring entity and their employment and compensation arrangements. Representation of a leader in the design, engineering and manufacture of emissions-certified alternative-fuel and conventional power systems in an underwritten public offering of its common stock. The net proceeds to the client were more than $34 million before deducting offering expenses payable by the client. Representation of a principal investment firm specializing in investing in small- to mid-sized companies in the business services sector in its acquisitions of a medical marketing agency and a health care information provider. Representation of the management team of a leading provider of supply-chain management, logistics and marketing services to food, retail and manufacturing industries worldwide in the buyout of all of the outstanding equity interests of the company from its founder and other equity holders. Representation of a leading provider of national commercial real estate due diligence services including ALTA surveys, zoning services, and environmental and property assessments, and its stockholders, in connection with its sale to an affiliate of a Cincinnati-based investment firm focused on private equity transactions. Katten also represented the client's management team in connection with their employment and compensation arrangements post-closing.